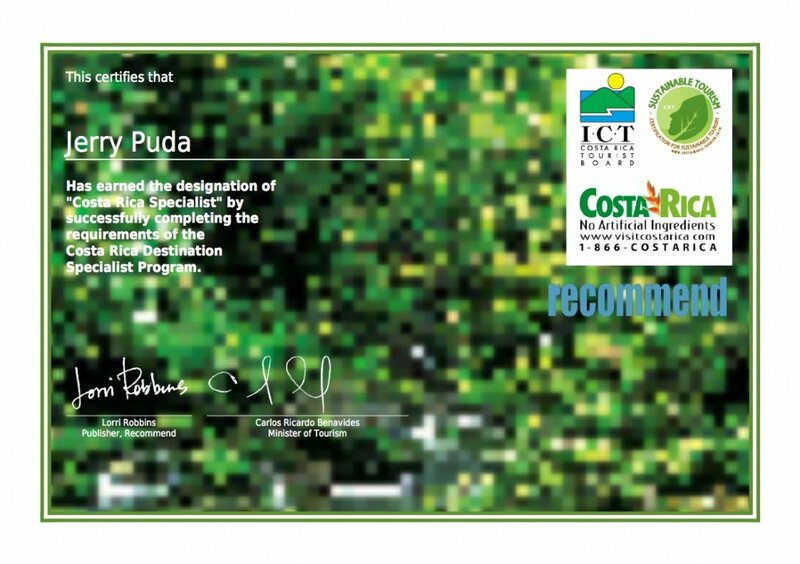 Sincere gratitude goes to The Costa Rica Tourism Board, the amazing work of Neftali Loria Lost N Free and other talented producers and travelers who selflessly share their everyday adventures in Costa Rica with the world. WHERE TO GO? WHAT TO EXPECT? In Guanacaste, rainforests become dwarf-forests and dry-rainforest. Volcanoes and national parks dot the landscape along with endless beaches and coves where a variety of accommodations can be found; from rustic eco-lodge "live like a Tico" to familiar brands and all-inclusive resorts. Guanacaste is home to several of Costa Rica's climate zones, but remains warmer and drier than the rest of Costa Rica and hotels tend to be more remote. For those seeking drier and warmer conditions, larger hotels, fishing and surfing; Guanacaste imay be your spot. If you've ever dreamed of seeing monkeys, toucans and scarlet macaws, maybe wildcats in their natural habitat; Osa is the place. Geographically a small parcel of land considered, important enough to be named "the most biologically intense place on earth" by National Geographic Magazine. Be dazzled by the beauty, serenity, sights, sounds and relevance in one of the few remaining slices of primary rainforest that is also home to the largest mangrove waterway estuary in the Americas. See the land that inspired Jurassic Park and Avatar. Osa is a maritime area whereby most visitors arrive by water, winding down a mangrove river by boat to the see, by land or by air, stepping off a plane and be immediately immersed in the wild Osa. Whatever your time and budget allows, the Osa is a must. Monteverde, the cloud-forest, is quite different than a rainforest. Shrouded in a veil of clouds similar to San Francisco, only warmer. The cloud forest provides cooling cover for animals and humans alike. Many famous nature reserves are located in Monteverde and its nearby hamlet of Santa Elena. A new road provides greater accessibility than did the previous rock and gravel cliff-hanger road. There are multiple ways to get to and from each of these locations and to visit them both is a great idea. Contact us for routing and transportation options. There are many ways that are more adventurous and make the shuttle bus obsolete. TIP: Save Hundreds of Dollars per person. Many of Costa Rica's most famous tours and activities offer free transportation to and from hotels and other pre-arranged points. Over the years we've asked our closest suppliers to pick up guests in one place and drop elsewhere after the tour ends. No problem, Pura Vida! This is an excellent, no-hassle means of transportation from point A to B without need for a rental car. Just ask us and we can advise your best available routes. Sometimes a tour with transportation and meals can be less than the price of a shared shuttle alone! We call it Adventure Connection™. For many, the image of Costa Rica would not be complete without the iconic tropical rainforest. Two oceans, less than 100 miles apart are separated by highlands, valleys and many peaks and volcano over 11,000 feet to create dramatic climate and terrain variations to be explored. They say if you don't like the weather, just drive 20 miles. While many visitors gravitate to the beaches and coastal areas, others never set foot on the beach during their entire stay. Puntarenas is geographically the largest province and one we consider has the most diverse options. Many of the most famous national parks, surfing beaches, scenic and ecological wonders reside in Puntarenas. Lodging tend to be smaller and more intimate and in touch with nature. Home to the capital, and other urban areas including Cartago, Alajuela, Costa Rica's primary international airport SJO, Escazu and rural Turrialba. This east-west valley is as diverse as it is wide, with a pleasant year-round temperate climate and an elevation near 5,000 feet. The Central Valley is surrounded by soaring volcanoes and numerous coffee regions. One of the best locations for volcano and coffee tours as well as some wildlife rescue centers. While other tourist areas and beaches are the primary attraction for many, San Jose is a great option for arrival and pre-departure nights to rest from travels, as a meet up spot for others arriving from different locations and an economical way to extend your stay without paying resort prices for the extra nights. San Jose and its environs offer amazing sights, sounds, flavors and numerous choices for accommodations. Stay and enjoy some arts and culture! Blue waterfalls and rivers, natural thermal hot springs heated by nearby volcanoes, national parks, the iconic cone-shaped Arenal Volcano, Indigenous peoples, coffee, wildlife sanctuary and adventures galore place these two locations on the must visit list for good reason. Arenal includes the highest concentration of lodging options in the country; also making La Fortuna and Arenal the most visited destination in Costa Rica. Don't worry, the Arenal "area" and its accommodations cover a broad region at considerable distances from the volcano itself (all still claiming the best view of Arenal volcano!). You'll never feel rushed as the area retains its rural feeling and you will only see only a handful of traffic signals in town. The eastern lowlands begin at the eastern slope of the central valley, including Braulio Carrillo National Park, Rio Pacuare, Tortuguero National Park, Cahuita National Park, Manzanillo, Puerto Viejo and our gateway to Bocas del Toro Panama's aquatic island lifestyle. At the north you will find Tortuguero National Park's canals and wildlife breeding grounds. To the south you'll find the laid-back, caribe-vibe rainforest-meets-beach lifestyle with bicycle transportation and a variety of lodging from backpacker to luxury. Many enjoy our Beach-2-Beach, Border-2-Border option, a brief and easy extension into Bocas del Toro Panama via the southern caribbean border crossing to find palm-fringed, white-sand beaches, over-the-water palm thatched bungalows and water-taxi to surrounding islands in the archipelago of Bocas del Toro. TIP: We've spent 100's of days searching and exploring Costa Rica for you. We know many of the twists and turns in the roads by heart and provide you turn by turn routes to hidden and popular destinations. We'll connect you with the friendliest and most professional guides and services for an exceptional vacation. We've been on the ground and can describe exactly what you can expect and help you decide what's right for you. 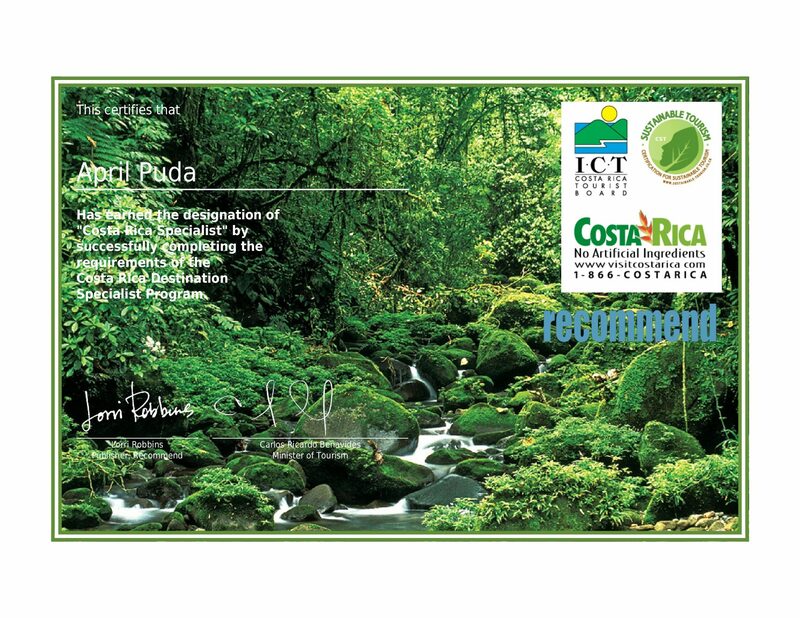 We're the trusted and Registered Costa Rica specialists.